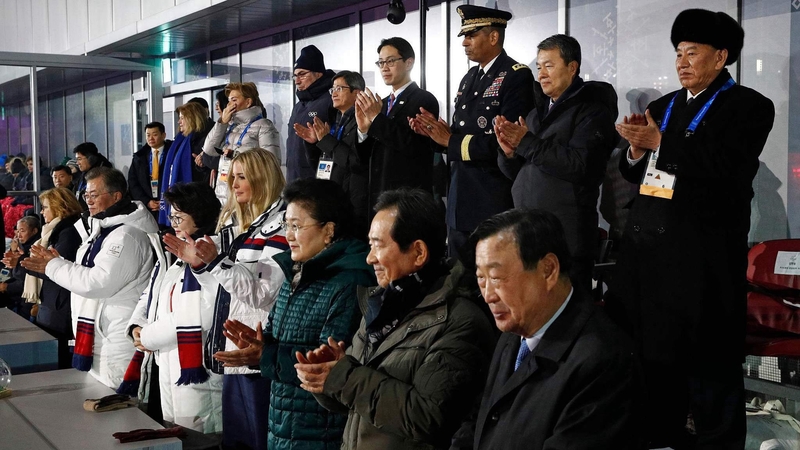 The high-ranking delegation from the Democratic People’s Republic of Korea (DPRK) attending the closing ceremony of the PyeongChang Olympics expressed Pyongyang’s willingness to talk with the US during a closed-door meeting with Republic of Korea (ROK) President Moon Jae-in, Yonhap news agency reported Sunday. The DPRK delegation arrived in PyeongChang earlier in the day to attend the closing ceremony of the 23rd Winter Olympics, Presidential Spokesman Kim Eui-kyeom said in a written press briefing. During the meeting, Moon stressed that dialogue between the DPRK and the US should be rapidly held to fundamentally resolve the Korean Peninsula issues and improve ties between ROK and the DPRK. The DPRK delegation told Moon that Pyongyang had enough willingness to hold talks with the US, saying Pyongyang shared Moon’s view that relations between the two Koreas and those between the DPRK and the US should make progress together. The high-level delegation was led by Kim Yong Chol, vice chairman of the Central Committee of the ruling Workers’ Party of Korea. He was accompanied by Ri Son Gwon, chairman of the Committee for the Peaceful Reunification of the Fatherland, and six other support staff. Attending the closed-door meeting were Kim and Ri. From the ROK’s side, top national security advisor for Moon and the national intelligence agency chief participated in it. Moon said the DPRK’s participation in the ROK-hosted winter sports event made the PyeongChang Olympics a peace Olympics, stressing the importance for inter-Korean relations to make a broad advance. The DPRK delegation said top DPRK leader Kim Jong Un had an identical willingness to President Moon’s. Moon and the DPRK delegation exchanged opinions about a broad range of issues on inter-Korean ties during the meeting, Moon’s spokesman said. The ROK’s leader highly appreciated the DPRK’s dispatch of a high-ranking delegation to both the opening and closing ceremonies. Kim Yo Jong, younger sister of the DPRK leader, attended the opening ceremony on Feb. 9. During her three-day stay in ROK, the younger Kim met with Moon, delivering her brother’s invitation to Moon to visit Pyongyang at a convenient time.